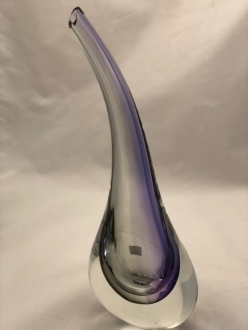 Murano Glass Vase Blue/Topaz - Murano Glass - Murano Glass Gifts Co. 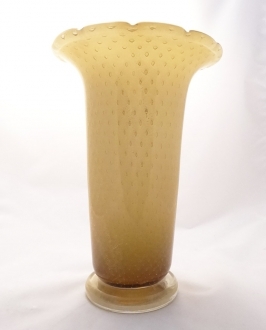 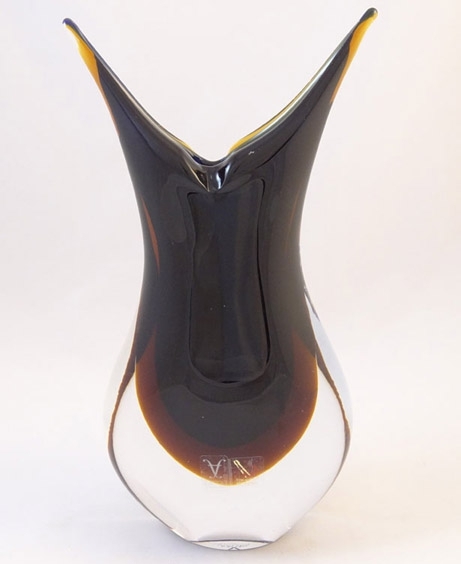 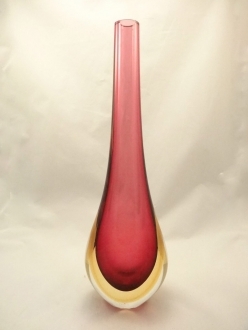 This lovely and vibrant Murano Glass vase has rare shape and color combination. 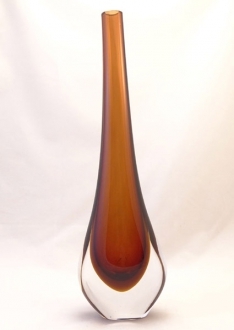 Crafted in Sommerso technique in dark blue, topaz and clear crystal color combination. Sommerso techniques has been perfected about 100 years ago in Murano when a few layers of class fused together by dipping already solidified glass object into the molten glass and finished by the clear crystal glass.